Assure a Smile is excited to announce the news that the United States Federal government has officially called for the phasing-out of dental amalgam. The U.S. is aiming to reduce the use of this highly toxic metallic element in cooperation with the World Mercury Treaty, the newest of global environmental initiatives headed by the United Nations Environment Program (UNEP), and Miami dental professionals are spreading the news to patients that amalgam is getting phased out. This announcement is the latest development in the debate over dental amalgam, the silver metallic mixture that has been used for years in a variety of different dental procedures. 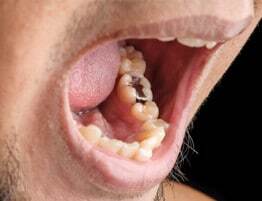 The concern over the use of dental amalgam stems from its high concentration of mercury. When it comes to naturally occurring non-radioactive materials, Mercury is undoubtedly the most poisonous for human beings. 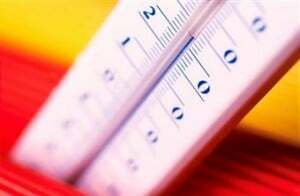 Banning of the substance has been the topic of many public health and safety campaigns; glass-and-mercury based thermometers and canned tuna fish receiving the most public attention in recent history. Like these consumer products, dental amalgam contains potentially hazardous amounts of mercury that. 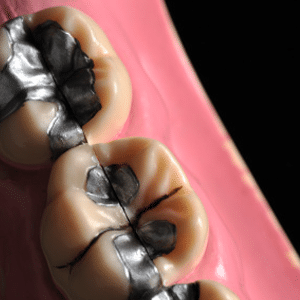 Some silver amalgam fillings may contain upwards of 50% mercury, leading the World Health Organization to issue a warning stating that dental amalgams contribute more to mercury accumulation and toxicity in the human body than all other sources combined (i). The announcement that the U.S. government would support a phasing-out­ of dental amalgam was recently shared with health professionals from around the country at the Health Freedom Expo held in early March in Long Beach, California. Specifically, the government calls for a “phase down, with the goal of eventual phase out by all parties, of mercury amalgam,” (ii). The announcement of the phase-out is a move to support the World Mercury Treaty, a global initiative lead by the UNEP and supported by a diverse collection of some 140 countries. You may read a full press release on the UNEP World Mercury Treaty here. Several Miami dental practices offer safe mercury amalgam removal procedures for patients who have silver fillings. Patients are cautioned, however, that mercury removal must be done safely to minimize exposure to vapor and fragments that may be harmful if ingested. Assure a Smile has over 20 years experience as a Miami dental practice and is lead by a team of professionals who engage in ongoing dental education and training. Most notably, Assure a Smile is on the forefront of dental amalgam research, education, and removal procedures. Our experts are here to help, and we encourage patients with silver amalgam fillings to contact our practice to learn more about safe mercury removal. Did you know? The disposal of mercury is also an issue that needs environmentally friendly consideration. Assure a Smile uses only the highest standards of care and precaution when removing and disposing of mercury-rich dental amalgam. Readers may also visit the following page to learn more about mercury filling removal in Miami.